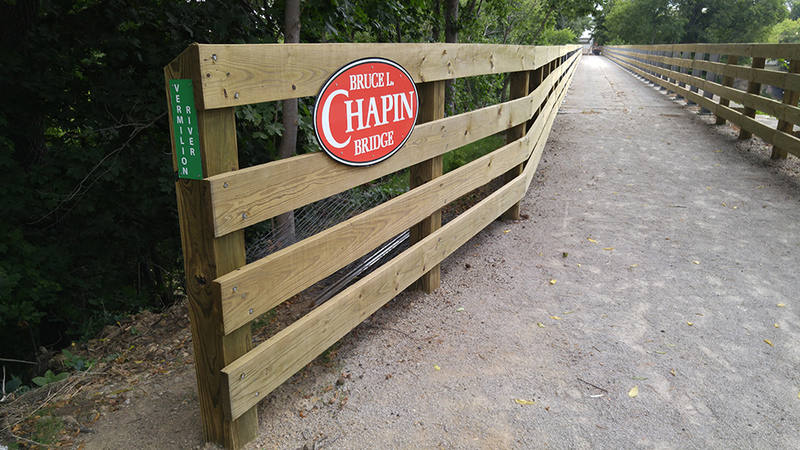 Bruce L. Chapin Bridge – Firelands Rails to Trails, Inc. 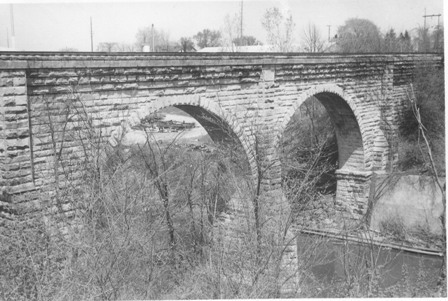 The Bruce L. Chapin Bridge was built in 1872 and spans the Vermilion River at Wakeman. This spectacular double arch bridge is 273’ long and 80’ high. This bridge was preserved for many years after the railroad abandoned it by local contractor Bruce L. Chapin and has been retrofitted for trail use in his honor.